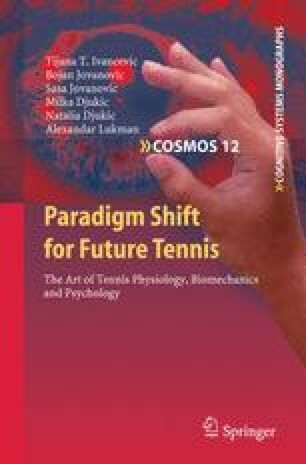 Each effective tennis shot, be it a serve, a forehand or a backhand, is a whip–like movement performed by a complex coordination of all the body’s segments working to place the racquet in the correct position at the right time and apply the maximal summed force to the tennis ball. As we already emphasized several times, the best power (strength + speed) exercise for both serve and forehand (and even for single-handed backhand) is a javelin throw. Not only that, but all speed and strength exercises practiced by elite javelin throwers are perfectly suited for future champion tennis players. In short, a superb serve, forehand and backhand are whip–like movements, each composed as a cascade of stretch–reflexes in all major joints, starting from the feet and ending with the hitting hand.